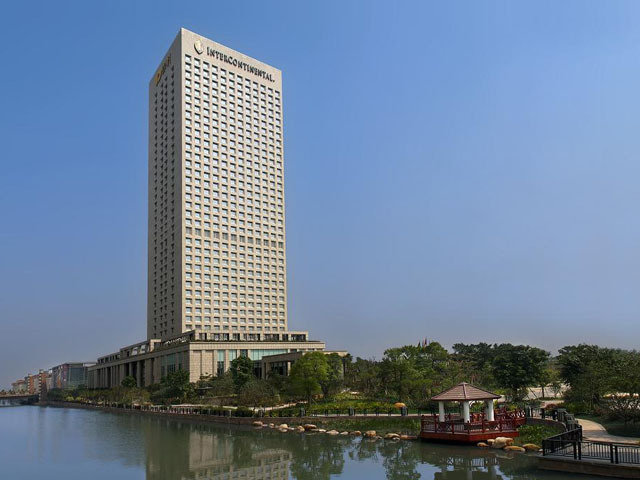 InterContinental Foshan is the first international luxury hotel in Nanhai District of Foshan city, ideally located in the Guangdong Financial High-Tech Service Zone with easy access to Guangzhou. It’s only 10 minutes’ walk from Guangzhou-Foshan Metro station, and 10 minutes’ drive from Foshan downtown, 18 minutes’ from Guangzhou downtown, 35 minutes’ from Canton Fair Pazhou Complex and 50 minutes’ from Guangzhou Baiyun International Airport. Airport Express stop is just outside the hotel. The hotel is also appointed as one of the regiatration office by Canton Fair. The hotel boasts 450 guest rooms including Club InterContinental rooms and a range of suites. All rooms are nicely decorated and well appointed, offering complete comfort with beautiful views of Qiandeng Lake or elegant landscaped garden. Internet is available at room and wifi in public areas. A pillar-free Grand Ballroom and 15 multi-functional rooms are always ready for providing personalized service to customers for whether meetings or parities. A Chinese Restaurant and a Western Restaurant, a café, a bar, a lounge and a sweet house are to feast you with the most delicious delicacies. The hotel is also equipped with outdoor tennis courts, an outdoor swimming pool, a fitness center and spa service for guests’ health and relax. All 450 rooms (incl. 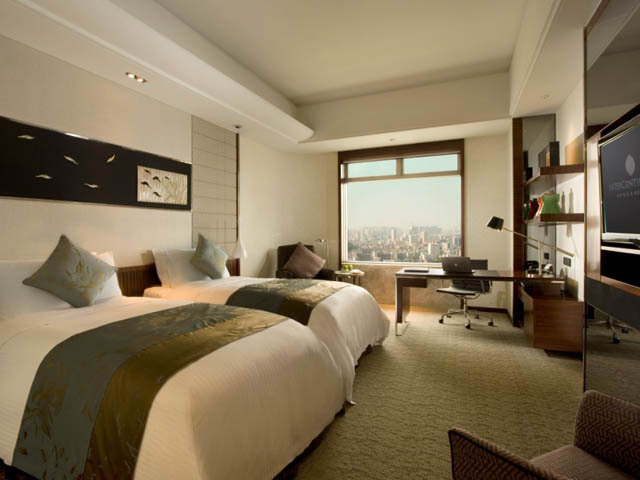 Club InterContinental rooms and a range of suites) are nicely decorated and well appointed, offering complete comfort with beautiful views of Qiandeng Lake or elegant landscaped garden. Free internet is available.